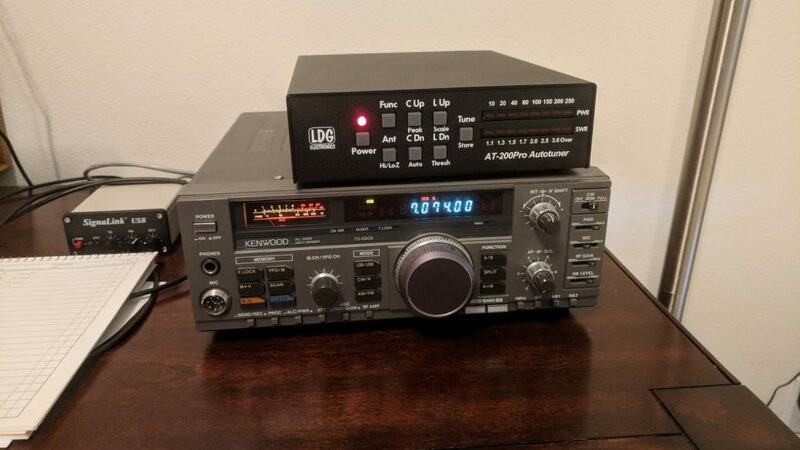 As Penny and I have settled into our home in Sonoma I’ve taken on an increasing interest in getting more active in Amateur Radio once again. Getting a station back on the air was a critical step. This new site is also part of that effort. I’ve never had an impressive personal station and that will remain true here given our lot size and the close proximity of neighbors. There will be wire strewn about the backyard, but it will mostly be out of sight to avoid antagonizing neighbors. FT8 works fairly well with such limitations and I’ve been active as of late with that mode. For rare DX I make use of Remote Ham Radio so I don’t entirely miss out. My current antenna is even more modest than the radio!